The theme for the 2015 Greater Lafayette Holocaust Remembrance Conference Educator Workshop is Life in a Jar. 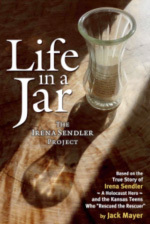 Our guests this year are Jack Mayer, author of the award-winning book Life in a Jar, the story of Holocaust rescuer and Nobel Prize nominee, Irena Sendler, and Norm Conard, the Director of the Life in a Jar Project. During the workshop, Jack Mayer and Norm Conard, the social studies teacher who inspired his students to investigate Irena Sendler for their History Day Project, will tell the unforgettable story of Irena’s rescue of 2,500 Jewish children from Warsaw during the Holocaust. 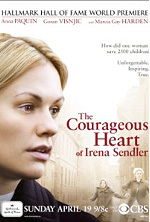 All workshop participants will receive a copy of Life in a Jar, the DVD The Courageous Life of Irena Sendler, and a packet of related teaching materials. To register, email Asta Balkute at the Ackerman Center for Democratic Citizenship at Purdue University, (abalkute at purdue dot edu). Please indicate your meal preference (vegetarian or non) and your interest in receiving a PGP certificate. Written by featured speaker Jack Mayer. View his biography here. Educators interested in applying for an Engel Award should contact Sarah Powley, Co-Chair of the GLHRC. The window for submitting proposals will open in the fall. Applications will be due January 31, 2016.